Best friend: Best friends let you use their stuff without hassling you too much, and have your back when you get into trouble. But they're not family so you aren't forced to put up with their annoying BS if you don't want. These area all ideal qualities for someone with super powers. You could enjoy a weekend gambling in Vegas or have him/her fly you to the Moon and it'd be fun, without a lot of complications. Bros before ... well, you know. Father: If you're going to have someone feel protective over you, a super dad is not a bad option. This depends on the father in question, though -- some are jerks. If you're saddled with an abusive, alcoholic jerk, giving him the power to read your mind is probably not a good thing. On the other hand, if you've got a good dad, adding super powers would be great. Girlfriend/Boyfriend: A lot of downside here, as shown so poorly in "My Super Ex Girlfriend" (now with even less acting!). You've got all the entanglements of a romantic relationship, without any of the safeguards or security of a marriage or family connection. If you get in a fight, she might just burn your head right off the bloody stump of your neck. Mother: Very similar to the Father question, but come on -- moms rule. But then, my mom is awesome, so I am probably prejudiced. 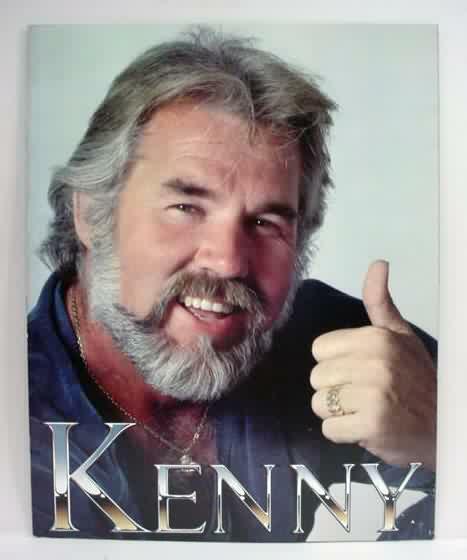 Kenny Rogers: "Prepare to get ROASTED, villain! Speaking of which, Kenny Rogers Roasters Meal Deals are on sale now!" Made of 100% pure awesome. And if you've seen Kenny lately, you know something is definitely alien about what his face has become. Son/Daughter: I sometimes wonder what it would be like to be Ma or Pa Kent, knowing that your job is to protect this most precious little person entrusted to your care, and yet knowing they are far more capable of it than you will ever be. To know they will constantly be putting themselves in harm's way while you can do nothing to help them. That would be really, really hard. On the other hand, think how proud you'd be that your offspring is out there making the world a better place. Spouse: See Girlfriend/Boyfriend and multiple by ten. No, a hundred. Your dog: "His super poop just smashed a hole through the garage!" On the other hand, no one loves you like your dog loves you. Your car: If we're talking "Herbie", sign me up. If we're talking "Transformers", no thank you -- I am already at risk enough of killing myself in my vehicle, I don't need it to be sentient with an enemies list to boot. Just get me to the store and we'll be good. Uncle/Aunt: Uncles and aunts are cool, because you don't have to live with them every day. It's not like Luthor is going to come to your house looking for them, you know? So it's like the advantages of having super parents without as many of the drawbacks. Looking over the list, I'd probably have to go with my best friend. There are worse things in life than being Jimmy Olsen, you know? I picked boyfriend, for a couple of reasons. At risk of sounding tacky, he IS my best friend, and personally I would love to avert me some damsel tropes. I’m a costume gal, so at the very least I could prevent him from being a spandex travesty. And first and foremost, he’s planning on joining the military after college, so I would take GREAT solace in any kind of additional protection. I think “Spandex Travesty” would be an outstanding name for something. Band, book, boat, something. Aunt/Uncle gives good access without the close relationship that could lead to being fried by the super or a villain. If David Bowie can be the head of of an evil organization like the Guild of Calamitous Intent, then why can’t another popular musician be a super hero? Gah! *That’s* Kenny on the other side of that link? Great Ceasar’s Botox…what has he done? He’s right up there with Mickey Roarke and Carrot Top in the “Bad Plastic Surgery Hall of Fame” and that’s for sure. He was on American Idol a couple of years ago and I literally couldn’t recognize him. It’s like we’re slowly being taken over by the Invasion of Madame Toussad’s Wax Body Snatchers. I pick spouse, because to me she is already a hero, she help safe lives, she is a surgical tech, she puts her hands inside of people and that is something that I could not do. And I work in a prison and still couldn’t handle what she does. I’m still hung up on the “Invincible” spoiler at the top. I was going to read that… hmmph. Jeff: I would totally listen to a filk group called Spandex Travesty. Hmm… Potential contest — sound-based heroes? Your best friend tends to be a person very much like you, who you can share just about anything with… but if he has some major powers, you might feel jealous, at best because he goes off crime fighting and leaves you in front of the TV to watch the shakedown on the evening news. Flight is cool, as you put it, you can get some sweet free rides, and if you’re late for an appointment, he might be handy to have around. Super strength would be terrible because you would feel fantastically underwhelming next to him. Invisibility could go both ways – he could help you settle the score with guys you hate by pranking them and ‘haunting them’. On the other hand, you might get paranoid and feel like you can’t trust him. And any mental power is trouble. I wish girlfriend (or boyfriend) was a better option, but it’s a rehash of all the points above plus a whole lot of others. In the end I chose pet. They’re loyalty is for all purposes guaranteed, but be warned, when it comes to bath time or taking them to the vet, you might have an even more cosmically difficult fight than usual! i go for dad, more permanent than friend or boyfried/girlfriend, and for me, it wouldn’t be such a difference. when i was still living at home, it was normal to hear my father rush in at 11 clock in the morning, go upstairs, go back down with a suitcase and say to me i ‘l be gone for a few days say bye to your mother of me. so no big difference. Jeff (#2): I have been trying to come up with a band name for months. That is genius sir. I don’t suppose you’d mind if I were to use it would you? I may be mistaken, but I think Spandex Travesty is one of David St. Hubbins side projects. As for the poll, I’m going to say my sister. It will be fun watching the local moron population fall into a steep decline. I chose the cat, because she already controls my life. And it would be…uh, not comforting, exactly, but something like that…to know the entire world rests in her irritable paws. The choice I was going to pick actually isn’t there… I would go with brother/sister. I would pick that because then I could take comfort in the fact that they are all crazy for a reason. Since the option wasn’t there I just picked son/daughter figured it was closest to what I was going for. “Spandex Travesty”, the new album by Technicolor Yawn (that Glam Rock Barry Manilow cover band you’ve heard so much about).